HootSuite’s Solution Partners team is pleased to feature latest partner spotlight on Savvy Panda, an Inbound Marketing and Joomla! web design agency based in Milwaukee, Wisconsin. Luke Summerfield, Savvy Panda’s Inbound Marketing Specialist, manages strategy and implementation of Inbound Marketing strategies including content marketing, SEO, social media, email marketing and more. They do both consulting and implementation for all different sized businesses from small businesses to fortune 100 enterprises. HootSuite: Who influences you on social? Luke Summerfield: There are some people who are really using social media effectively and in-turn has really influenced me in the way I should use social media. Gary Vaynerchuk: His latest book, the Thank You Economy, has some amazing commentary on how social media is an amazing tool that should be used to foster amazing relationships with your audience. This thought process is brought through by Gary in his own social media actions. Rand Fishkin: Rand always is finding some interesting and helpful bit of information because he’s so connected to the SEO and Inbound Marketing community. The way Rand presents all his information in such a friendly and heart felt way, it really makes me pay attention. Additionally, he’s very good about interacting with people on social media no matter how big or small you are. This is an amazing quality and is what social is all about. I also love the content and personal interactions that the HootSuite, HubSpot and SEOmoz social media accounts offer to their audiences. They have a fun, informative and personal approach to social media that gets me engaged and interested in all their posts I see. HS: Tell us about some trends or challenges you’re seeing around social media in your industry. LS: The biggest challenge in social media in our industry is staying on top of social media in real time and being able to quickly react and interact with the world. There are so many social networks and so much noise that comes along with them. Additionally, the amount of time that is spent on posting, interacting, monitoring, etc. all of these social networks is mind-blowing. Once setup, HootSuite is an amazing tool that will allow us to manage all of our networks and more importantly, setup custom filters and streams to cut down on all the noise to allow us to stay on top of everything on the social web. Because of the automation and the ease of use, HootSuite saves us so much time when having to manage multiple networks for both ourselves and all of our clients. HS: What HootSuite features are most valuable to your clients? Tell us how these features have been helpful to your clients. LS: There are three main features to HootSuite that have greatly increased our efficiency and effectiveness with our agency and clients. 1. HootSuite and HubSpot Integration: We use HubSpot for our marketing automation tool and the new HootSuite integration is awesome and has allowed us to take our lead engagement and nurturing to a who new level. We can now instantly interact with sales leads on twitter to deepen our relationship with them. Great fuel for our sales team! 2. Geo-Locating: We have many clients whose target is a local based region. The geo-targeting tools HootSuite offers allows us to focus in on the exact area that were interested in. This is such a powerful way to organized the most relevant twitter activity in order to interact with their target market in ways never before possible. 3. Scheduled Posts: Although offered by other social media management tools, the scheduling found in HootSuite is very robust and user friendly. The scheduling capability has allowed us to easily increase our social media marketing automation and in-turn increase our effectiveness in social media. HS: How do you support your clients with social media for their businesses? LS: Many businesses and marketers have a hard time understanding how to properly leverage social media in their business and how all of their marketing actions interact. This causes many to only reach a fraction of the potential that social media can offer. Although there are many blogs and resources out there, in general they are very disjointed and many have different opinions on how to leverage social media. This leaves marketers and business owners confused and pointed in all different directions. To educate and guide these business owners and marketers on how to leverage social media to grow their audience and business, Master Inbound was created. It is an interactive online Inbound Marketing training course that educates its members on the entire process of Inbound Marketing including social media, SEO, content marketing, lead nurturing, etc. 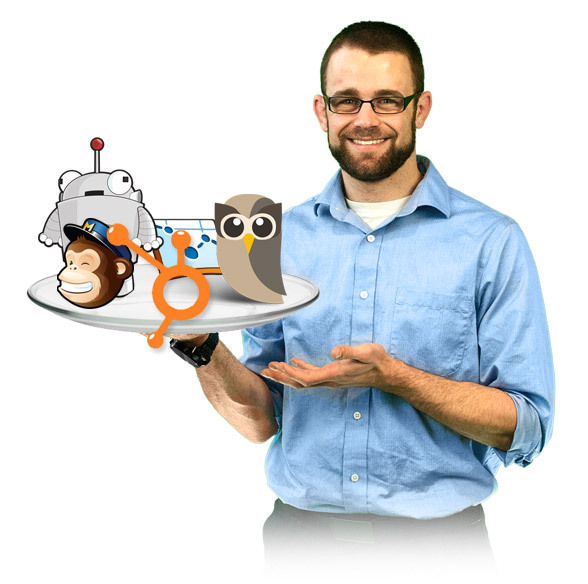 Included in Master Inbound is a HootSuite training module and 30-day access to HootSuite U. After completing the course, business owners and marketers will have a deep understanding on how to successfully implement a complete and effective Inbound Marketing strategy for their business. Many thanks to Luke and the folks at Savvy Panda for sharing their social media story with us! Check out how to follow Savvy Panda‘s blogs, newsletters and most recent campaigns. HootSuite’s Solution Partner Program is designed for agencies and consultancies looking to demonstrate social leadership and drive recurring revenue by introducing clients to HootSuite. Benefits of the program include exclusive access to HootSuite Partner resources, training and support. 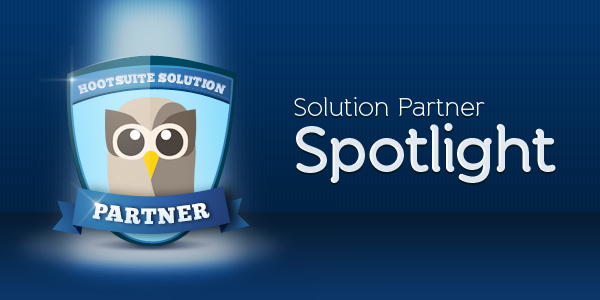 Apply today to become a part of the HootSuite Solution Partner program.